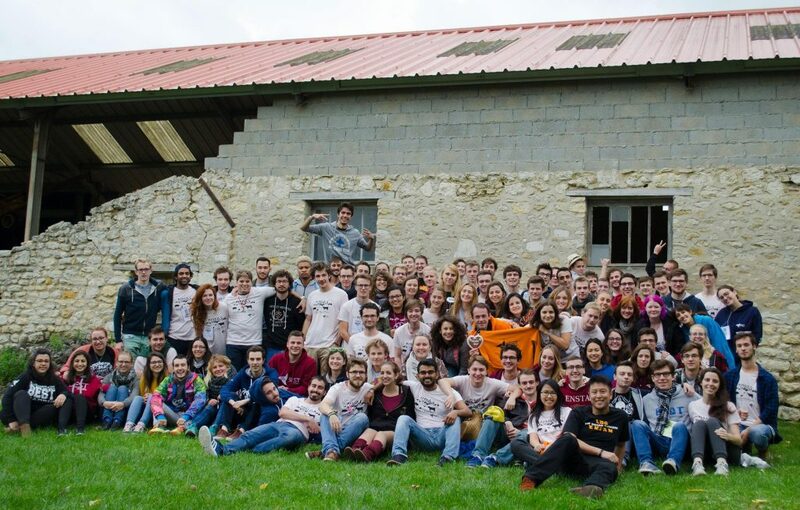 From 19 to 22 October, LBG Louvain-la-Neuve went to the farm ! Indeed, farm was the theme of the 3rd Regional Meeting (RM) of Region 09. After a 2nd edition organised by ourselves, we went this time to the countryside near Paris for this Autumn RM hosted by LBG ENSTA ParisTech. The occasion to gather with the other groups of Region 09 : Aachen, Brussels (VUB), Delft, Erlangen, Paris Polytechnique, Reykjavik, Wroclaw and of course ENSTA ParisTech. But exceptionally our region hosted the 10 groups of Region 05 as well ! This was the perfect time to share, meet people and learn many things throughout trainings sessions, workshops, department presentations, etc. No doubt the 3 new members of LLN sent there learned a lot while our president was preparing the Presidents Meeting in parallel with all the presidents of Regions 05 and 09 and Mariniki from the international board. Regional Meetings are always amazing experiences and we are looking forward to attend the next one in Milan (in Region 05 ! ).